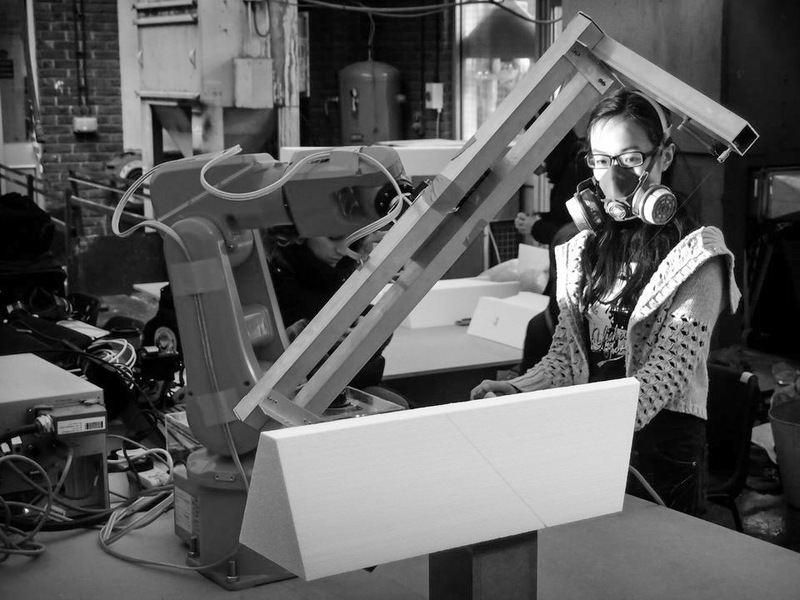 In 2012-2013, RC5 was organizing a series of workshops and Masterclasses dedicated to Robotics, Mathematics & Computation as well as Structural Engineering. 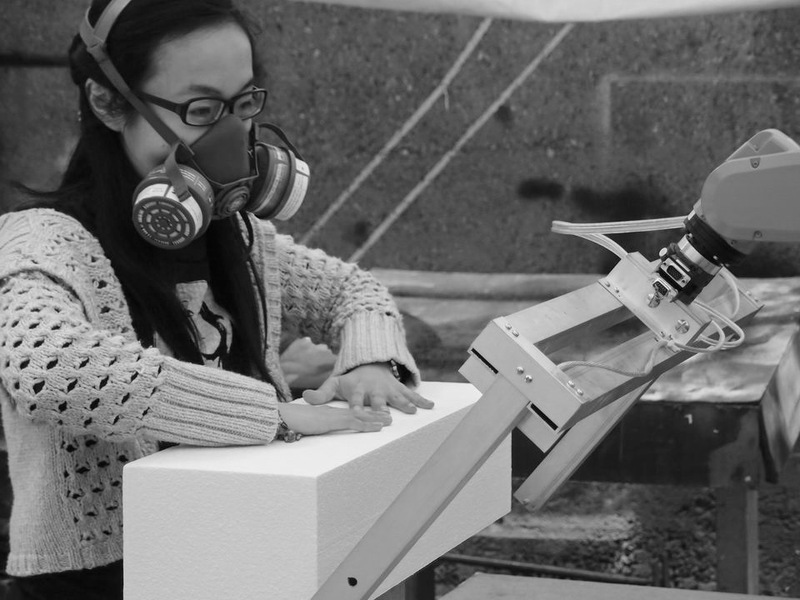 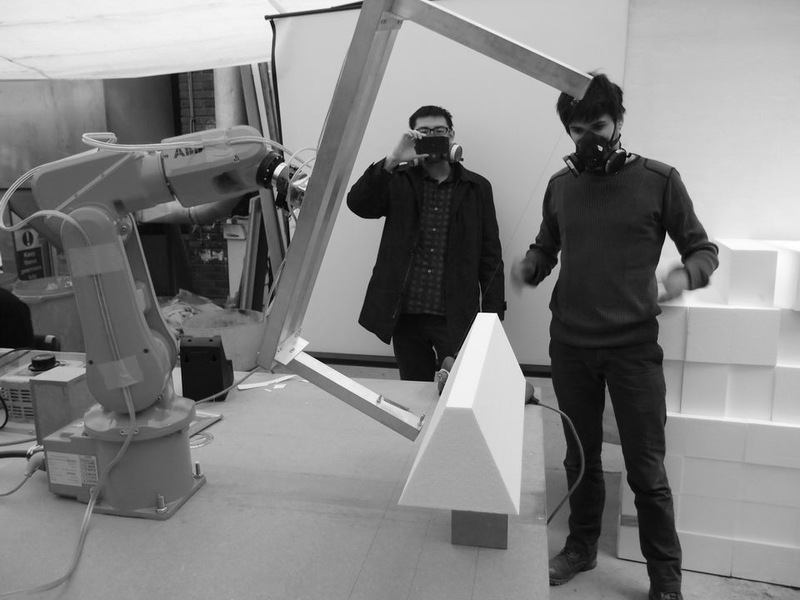 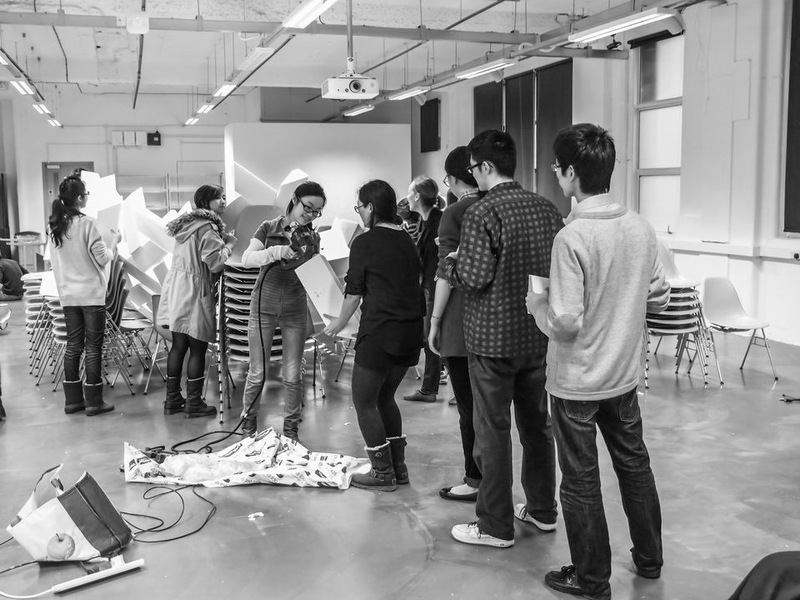 The series aimed to bring to Bartlett students innovative and operative knowledge relevant for their own works and allowing them to address contemporary developments in technology and science for architecture. 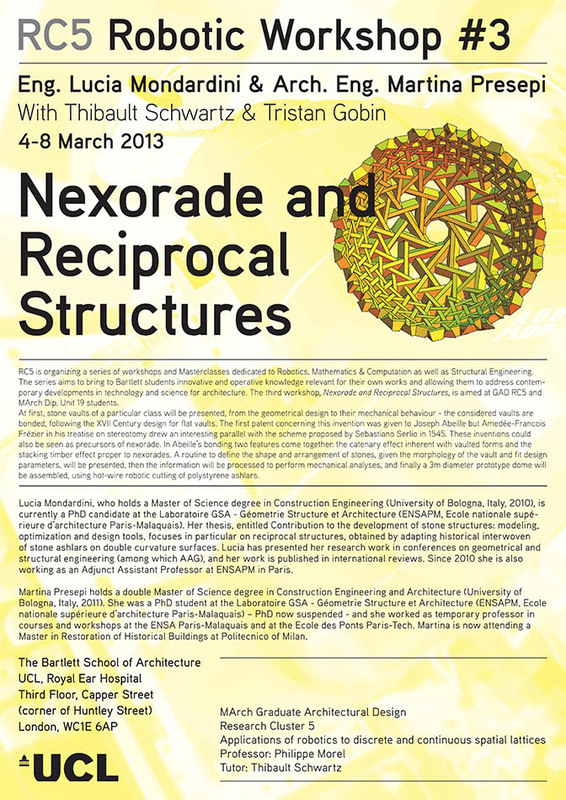 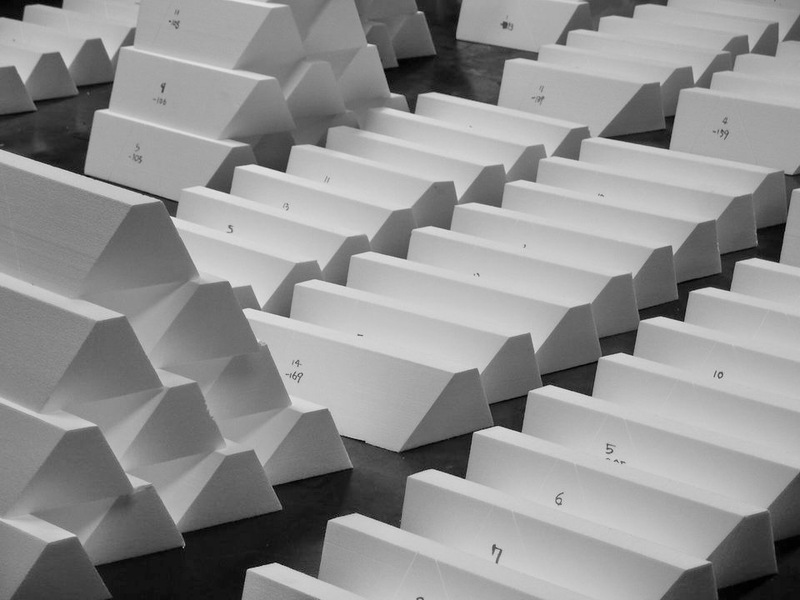 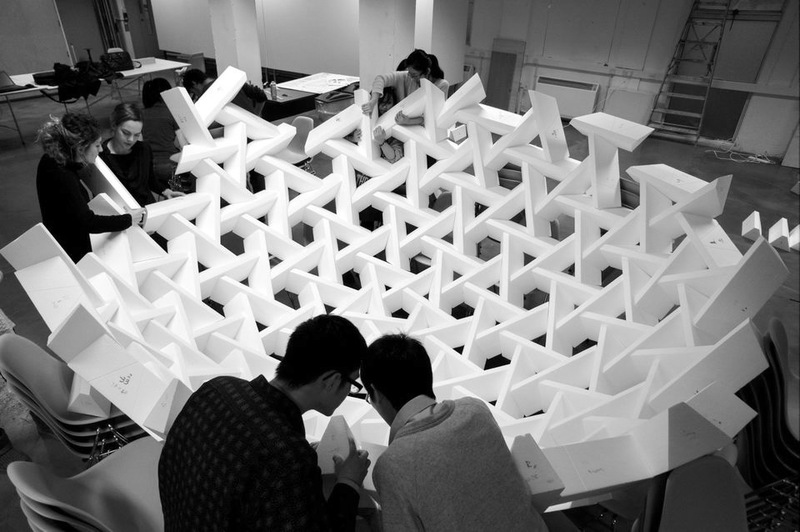 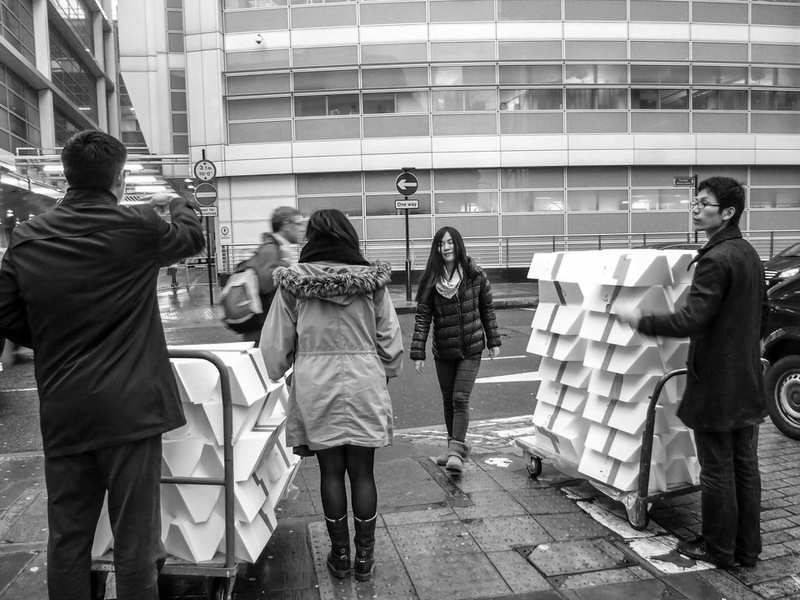 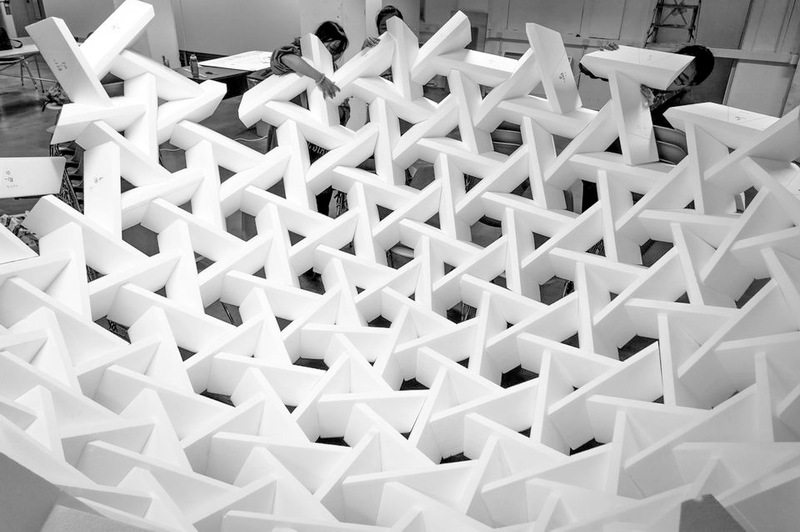 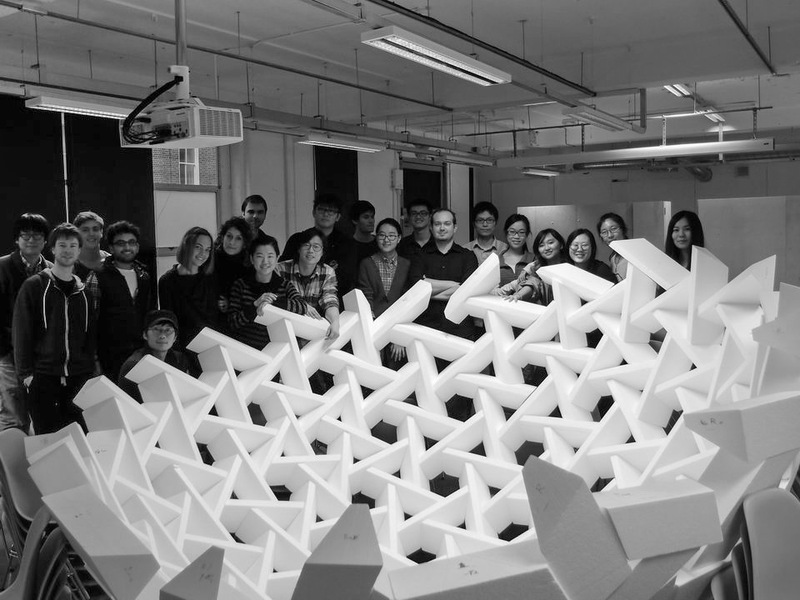 The third workshop, Nexorade and Reciprocal Structures, focused on the design and the production of a full-scale Abeille vault in EPS, and allowed the students to have a better understanding of the relationship between design and fabrication constraints. 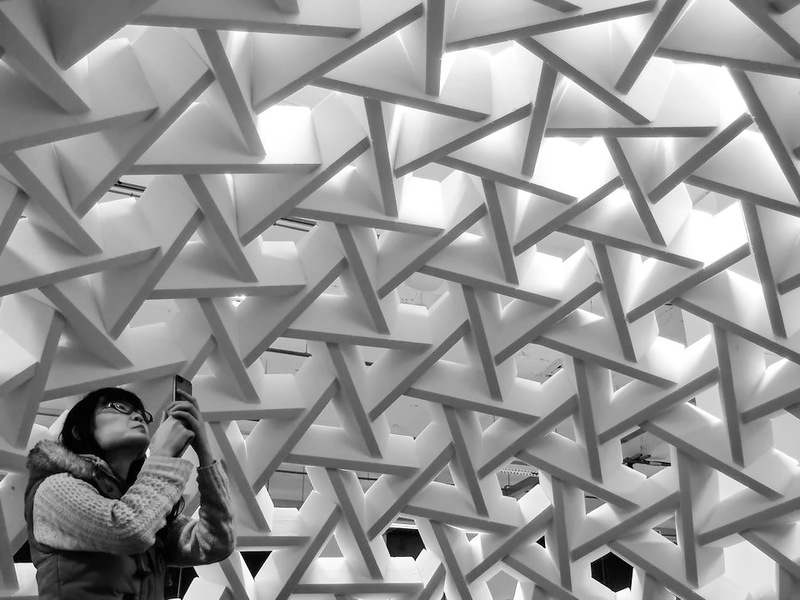 This prototype was obtained via a mixed workflow based on Mathematica (model developed by Maurizio Brocato & Lucia Mondardini), converted via Grasshopper to a HAL fabrication model (developed by myself).